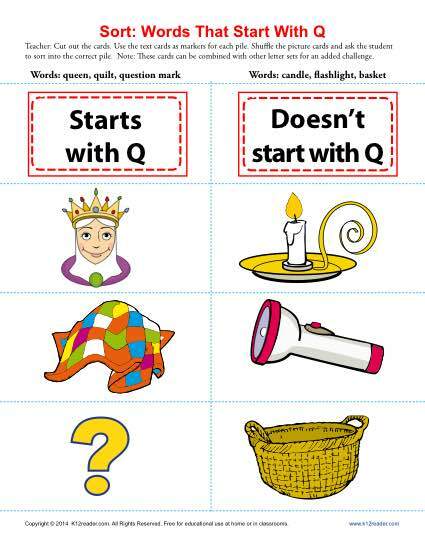 We can’t overlook Q; there are lots of words that start with this quirky letter! This sorting game for beginning consonants is also expandable. It’s an ideal practice for kindergarten and 1st grade Common Core Standards for Language. Other students may also benefit by playing the game.